Read Part 1, Part 3, Part 4, and Part 5. Camping’s reading of the Bible led him to a curiously self-contradictory method which is at some times excessively literal and at other times wildly allegorical. As an engineer he has had a particular interest in the numbers in the Bible. It is this interest that has led him to reach conclusions about the date of the end of the world. His first date was 1994 and he wrote a book showing the method by which he reached this date and to show how certain it was. Since then he has come to certain conclusions about several other dates, some of which he made public and some of which he did not. His repeated failures in calculating the end of the world have not led to repentance on his part or any basic revision of his method of interpreting the Bible. Camping’s literalism shows itself in his taking Bible verses out of context and reading into them a meaning that their authors and God never intended. For example, he quotes Amos 3:7, “Surely the Lord God will do nothing, but he revealeth his secret unto his servants the prophets.” He claims that this verse proves that God shows in the Bible the exact date of Christ’s return. But in context it is clear that Amos is writing of God’s revelation of his judgment against faithless Israel through his prophets. Amos is writing of God’s revealing a specific message to his prophets. Camping turns this into a statement that God reveals all his secrets, including the secret of the day of the end of the world, in the Bible. Yet it must be obvious to everyone that there are many of God’s secrets that are not revealed in the Bible. Camping has seriously abused this text. Consider further his use of 2 Peter 3:8, “But, beloved, be not ignorant of this one thing, that one day is with the Lord as a thousand years, and a thousand years as one day.” Camping insists that this is true in the most literal way so that the seven days of Genesis 7:4 must be “exactly” seven thousand years. Peter’s point is to show that God is not slow in keeping his promises. Peter is not teaching that every place in the Bible where we find reference to a day, it actually means one thousand years. Notice also that Peter does not say that one day is one thousand years exactly. Camping has added exactly. Also Genesis 7:4 speaks of rain falling 40 days. Does this mean that judgment will last 40,000 years? Jesus may of course return on May 21, 2011. Since we do not and cannot know when he is returning, May 21 is a possibility. But if Jesus does come then, Harold Camping will not have calculated it correctly. “Watch therefore; for ye know not what hour your Lord doth come….Watch therefore, for ye know neither the day nor the hour wherein the Son of man cometh” (Mt. 24:42, 25:13). Apparently these verses are not to be understood literally. Camping’s allegorical interpretation of these verses makes them mean the opposite of what they say. While often taking a literalistic approach to numbers, he also takes a very allegorical approach to many texts. This approach seems to have developed gradually, driven in part by his eagerness to refute Pentecostals. Although my memory of Camping in the 1950s is that he used the Revised Standard Version, in later years he became a passionate advocate for the King James Version. Absolute confidence in the KJV probably reflects the need for a Bible version which is so reliable that he can conveniently do without a knowledge of Greek and Hebrew. Accepting the KJV requires an acceptance of the long ending of Mark’s Gospel where we read Jesus saying, “And these signs shall follow them that believe; In my name shall they cast out devils; they shall speak with new tongues; They shall take up serpents; and if they drink any deadly thing, it shall not hurt them; they shall lay hands on the sick, and they shall recover” (Mk. 16:17-18). “All these things spake Jesus unto the multitude in parables; and without a parable spake he not unto them” (Mt. 13:34). “And with many such parables spake he the word unto them, as they were able to hear it. But without a parable spake he not unto them: and when they were alone, he expounded all thing to his disciples” (Mk. 4:33-34). While Jesus clearly is speaking about limited situations and people where he spoke in parables, Camping turned Jesus’ statement into a universal principle. By turning everything literal into symbols, Camping can make the Bible say almost anything. For example, if Jesus always speaks in parables and said that he would be in the grave three days, does that mean that he would actually be in the grave three thousand years? But Camping’s allegorical method allows him to conclude that Mark 16 does not say that the disciples can handle literal snakes; rather it says that they can oppose Satan, that old serpent. Originally posted on the Westminster Seminary California Blog. If you were to drive the freeways of southern California, you would see from time to time billboards proclaiming the Judgment Day on May 21, 2011 and declaring that the Bible guarantees it. Presumably these billboards may be seen in many other parts of the country as well. Who is responsible for these signs and what do they really mean theologically? 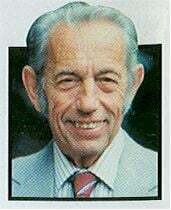 The signs have been placed by Harold Camping and his followers to warn people that the end is at hand. To understand these signs we must know something of the history as well as the theology of Harold Camping. I am in a somewhat distinctive position to write on this subject since I first met Camping in the late 1950s. I learned a great deal from him then, and so I find what follows a very sad story. I pray for him that the Lord will deliver him from the serious errors into which he has fallen. While a high school student in Alameda, California, I began to attend the Alameda Christian Reformed Church. It was there that I was converted through the influence of a number of people in the congregation, including Harold Camping. At that time he was an elder in the congregation and taught the Bible lessons for the high school youth group. He was a conservative, traditional adherent of the Christian Reformed Church and would remain so for many years. In those days the Christian Reformed Church was a strongly ethnic denomination and the congregation in Alameda was almost entirely Dutch in background. The CRC was also still strictly Reformed, interpreting the Bible in light of the church’s confessional standards: the Belgic Confession, the Heidelberg Catechism, and the Canons of Dort. Camping strongly embraced and taught the doctrine and piety of the CRC in which he had been raised. The Christian Reformed Church, like all Presbyterian and Reformed churches, also stressed the importance of a carefully and thoroughly educated ministry. The church certainly taught the Reformation doctrine that the Scripture is clear in its teaching of the message of salvation. At the same time it also recognized that the Lord had given his church pastors to open the Word of God and preserve the church in the truth (Ephesians 4:4-14). The faithful preaching of these pastors was a means of grace by which the saints were built up. For this vital calling, ministers were educated to read the Bible in Greek and Hebrew, to understand how to read the various genres in the Bible, and how to interpret each part of the Bible in light of the whole. The best handling of the Scriptures required excellent education. Camping was a bright and studious man who had been educated as an engineer. In the 1950s he owned a very successful construction company which built churches as well as other significant buildings. This educational background is critical to understanding Camping. His education was not in the liberal arts or theology. He had not been prepared to read literature or ancient texts. He knew no Greek or Hebrew. He was not formally introduced to the study of theology. His reading of the Bible, as it evolved over the decades, reflected his training in engineering. He reads the Bible like a mathematical or scientific textbook. Camping developed, as a good businessman, his construction company and then sold it. With the money he began to build the Christian radio network called Family Radio. This network was very much his own property and his skill developed Family Radio into a group of stations spread throughout the country. Family Radio appealed to many Christians through its programming of Christian music, Bible reading, Bible lessons and messages from various pastors and conference speakers. The teaching was basically Reformed and Camping sought to have as many recordings of Reformed speakers as possible. Camping himself had a regular program of his own called “Open Forum.” During this program he invited people to call in with questions about the Bible and theology. He promoted a Reformed approach to the Bible and especially confronted and refuted dispensational, Pentecostal, and Arminian theologies. He had a broad and detailed knowledge of the Bible which he used to very good effect in answering questions. He was at one time a most effective and influential promoter of Reformed theology and won many listeners to the Reformed cause. After Camping began to work full-time with Family Radio, he spent much time studying the Bible. His knowledge of Bible verses is impressive indeed. But his study of the Bible was undertaken in isolation from other Christians and theologians. He adopted a proud individualism. He did not really learn from Bible scholars. He studied the Bible in isolation from the church and the consensus of the faithful. As a result his understanding of the Bible became more and more idiosyncratic. No one could help, direct, or restrain him. He was really an autodidact, that is, someone who teaches himself. He never really submitted his ideas to be challenged and improved by others. He was truly his only teacher. He has repeatedly said that he would be glad to change his views if he is shown that he is wrong from the Bible. But this humble statement covers a very arrogant attitude, because no one can ever show him that he is wrong. He alone really understands the Bible.